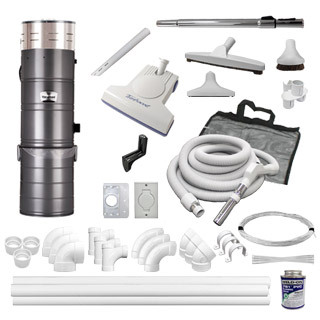 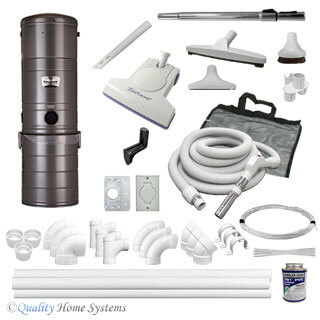 Our Vacu-Maid complete central vacuum kits provide one-stop shopping for a new central vacuum system. 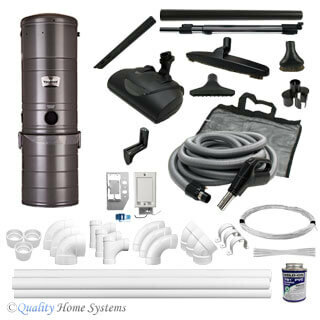 Use our filtering tool to narrow down the results by your house size, flooring type and preferred filtration type. We will provide you with kits that satisfy your requirements. 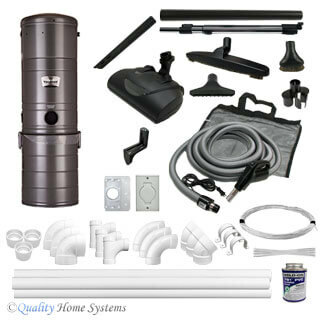 Each complete kit includes a Vacu-Maid power unit, hose accessory kit and installation kit for a recommended number of inlets. 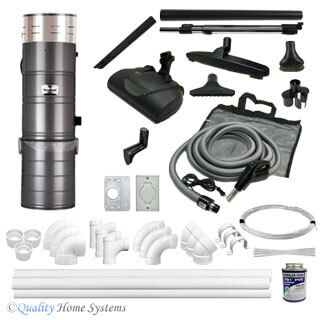 The accessory kit includes a 30' hose, electric or air-driven powerhead, wand, attachments, hose hanger and tool bag. 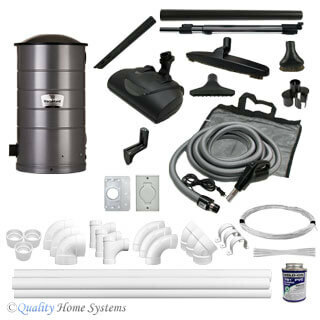 The installation kit includes inlets, elbows, fittings, pipe, glue and low voltage wire. 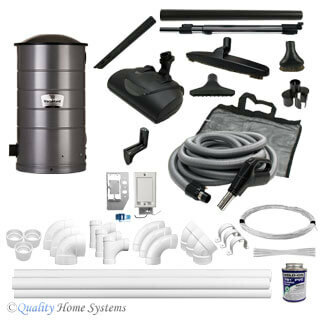 If you prefer to build your own all-in-one kit, use our Central Vacuum System Kit Builder. 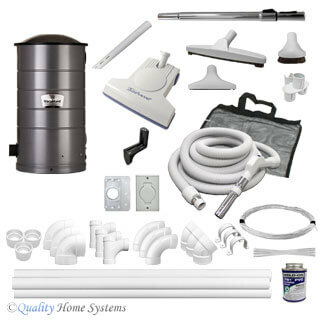 Please call our friendly experts with any questions concerning purchase of a Vacu-Maid complete central vacuum system package.